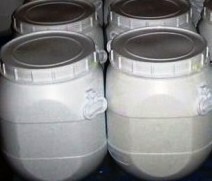 Sodium thiosulfate (Na2S2O3), also spelled Sodium thiosulphate, or thio sulphate is a colorless crystalline compound that is more familiar as the pentahydrate, Na2S2O3•5H2O. It is an efflorescent, monoclinic crystalline substance also called sodium hyposulfite or “hypo”. The thiosulfate anion is tetrahedral in shape and is notionally derived by replacing one of the oxygen atoms by a sulfur atom in a sulfate anion. The S-S distance indicates a single bond, implying that the sulfur bears significant negative charge and the S-O interactions have more double bond character. The first protonation of thiosulphate occurs at sulfur. Thiosulfate anion characteristically reacts with dilute acids to produce sulfur, sulfur dioxide and water. This reaction is known as a clock reaction, because when the sulfur reaches a certain concentration the solution turns from colorless to a pale yellow. This reaction has been employed to generate colloidal sulfur. When the protonation is conducted at low temperatures, H2S2O3 (thiosulfuric acid) can be obtained. It is a strong acid pKa. We can give both the grades Pentahydrate and Anhydrous. We can give the technical grade small crystals and large crystals too. 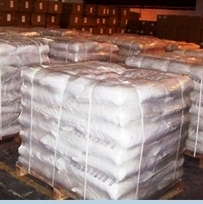 We also offer Sodium Thiosulfate BP, Ph. Eur. and Sodium Thiosulfate Extra Pure from a world class FDA approved, ISO-9001-2008, ISO-22000-2005 HACCP Certified facility with Kosher & Halal approval. Water: Dry about 1.0 g, accurately weighed, in vacuum at 40 o to 45o for 16 hours: it loses between 32.0% and 37.0% of its weight. Calcium: Dissolve 1 g Sodium Thiosulfate in 20 mL of water, and add a few mL of ammonium oxalate TS: no turbidity is produced. Content: 99.0 per cent to 101.0 per cent of Na2S2O3,5H2O. Appearance: Transparent, colorless crystals, efflorescent in dry air. Solubility: Very soluble in water, practically insoluble in ethanol 96 per cent. It dissolves in its water of crystallization at about 49°C. 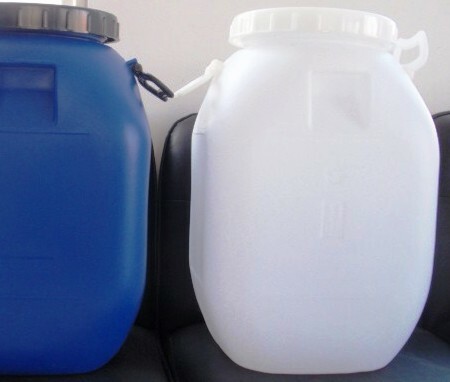 Appearance of solution: The freshly prepared solution is clear and colourless. pH: 6.0 to 8.4 for the freshly prepared solution S.
Sulphates and sulphites: Maximum 0.2 per cent. Sulphides: To 10 ml of solution S add 0.05 ml of a freshly prepared 50 g/l solution of sodium nitroprusside. The solution does not become violet.